CHUCK is not a person but a resource designed by LimeBox Networks, LLC to simplify how companies test the VoIP readiness of their existing network and infrastructure to support IP based communication services such as voice and video. 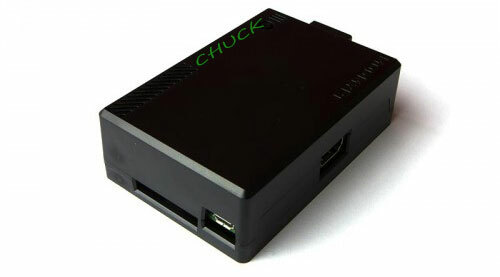 Semperon or a qualified partner of Semperon would connect CHUCK to your existing equipment (most often a switch port). Once connected, CHUCK will then “phone home” and begin gathering information on your existing network infrastructure and network. This information is typically compiled for up to 3 business days which allows us to then present our findings to clients interested in understanding what changes they may need to make in order to support either VoIP services or IP video. WILL CHUCK IMPACT MY BUSINESS? No, CHUCK keeps to himself. He is really only interested in helping us measure and evaluate your network performance so we can help you make better decisions. While CHUCK is running, you will not experience any impact to any of your existing applications. It is important to CHUCK that you don’t even realize he is there. HOW CAN I GET CHUCK’S HELP? Simply provide us your information and what you are hoping to accomplish and we will assign a qualified engineer to contact you right away. We look forward to helping you and your business.